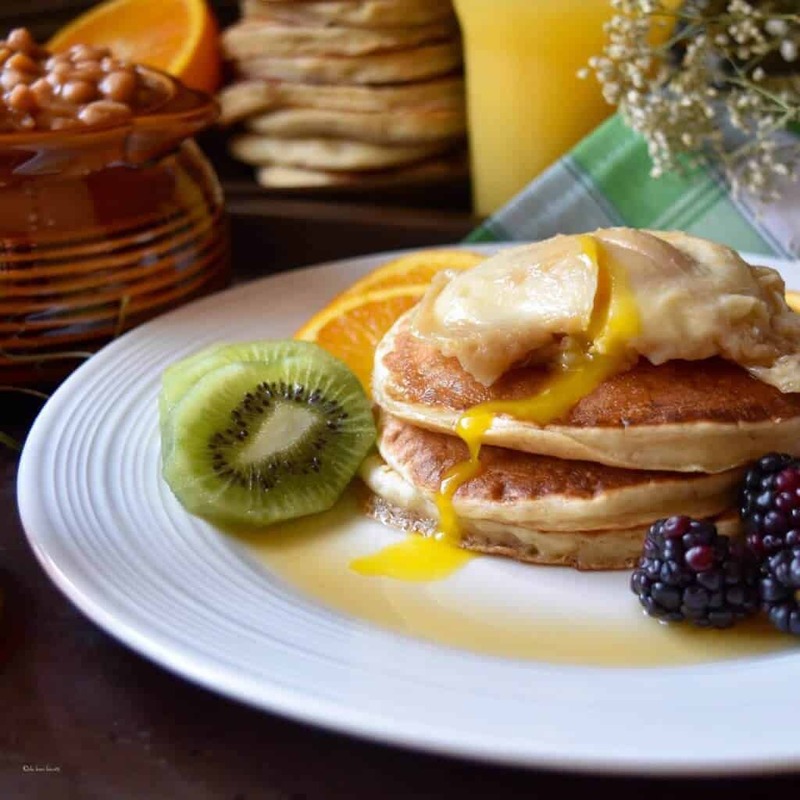 Pure maple syrup has often been referred to as “liquid gold”. When you think of it, it truly is one of nature’s wonderful gifts. The whole process of collecting and making the maple syrup can only happen once a year, in the spring. This is when the fluctuation between the warmer daytime temperatures and the cooler night time temperatures alters the pressure inside the tree. The simple process of tapping the maple tree will create an outlet for the sap to start flowing. In case you are wondering, this process, which was learned from the First Nations, does not harm the tree. Did you know that it takes 40 liters of maple sap to make 1 liter of maple syrup? That’s because the sap is 97.5% water and 2.5% sugar. And here is another interesting fact: according to the Federation of Quebec Maple Syrup Producers, Quebec produces 72% of the world’s maple syrup supply. So, in order to simulate the maple sap required to make this recipe, I will dilute some pure maple syrup with water. After combining the water and the maple syrup in a small saucepan, bring it to a simmer. 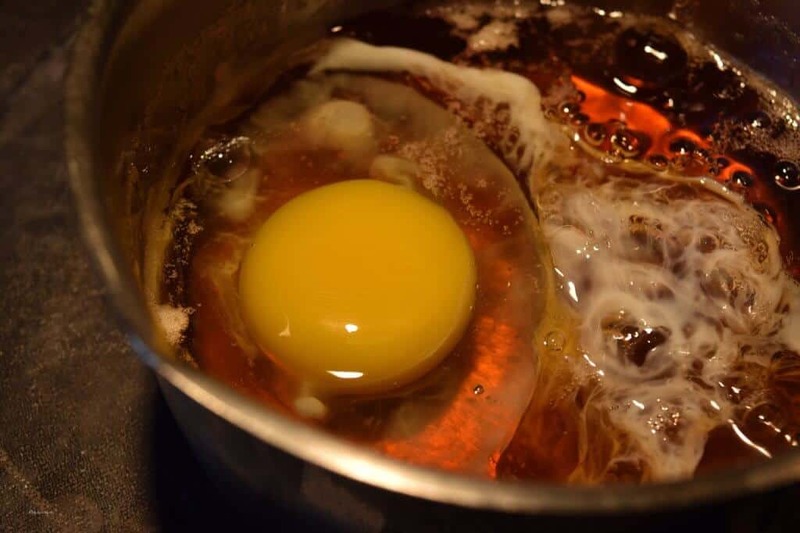 I will then crack my room temperature egg in a bowl and then just slip it into the simmering maple syrup. A soft poached egg will be ready in just 3 minutes, but you can let it go for another minute or so if you prefer firmer poached eggs. Of course, these Traditional Quebec Maple Syrup Poached Eggs would be great served with a side of toast. But what if you served them with some Buttermilk Pancakes? While you are at it, why not prepare these Homemade Quebec Maple Baked Beans? Before you know it, you can have your very own cabane à sucre experience in your own home. You might be wondering how a first generation Italian Canadian like myself came across such a recipe. Well, through the magic of cookbooks, of course. I first came across this concept of poaching eggs in maple syrup in “The Laura Secord Canadian Cookbook”. I picked up the 2001 edition of this cookbook in a second hand bookstore a few years ago. Just in case you are wondering, the original publication date was 1966, over half a century ago! Needless to say I was immediately intrigued by so many traditional Canadian recipes. I asked a few of my (older) friends and colleagues whose families have lived in Québec for a few generations about poaching eggs in maple syrup. So many of the stories were related to the personal memories they had during their own youth where this special treat, along with la tire d’érable (maple taffy), was often made in the “sugaring off” season. From what I understood, the eggs would be poached in the maple sap (or maple water). I have simulated the poached eggs in the maple water by simply adding water to the maple syrup. My official taste testers (AKA my husband and daughter) and I prefer this version over poaching the eggs in maple syrup, as was indicated in the cookbook. No offense to Ms. Secord, but that was way too sweet, even for a family of maple syrup lovers like us. There truly are so many ways to use maple syrup; whether drizzled over yogurt, swirled into your breakfast bowl, used in marinades, dressings or even in baked goods. And today, you have another yet another recipe to highlight maple syrup. 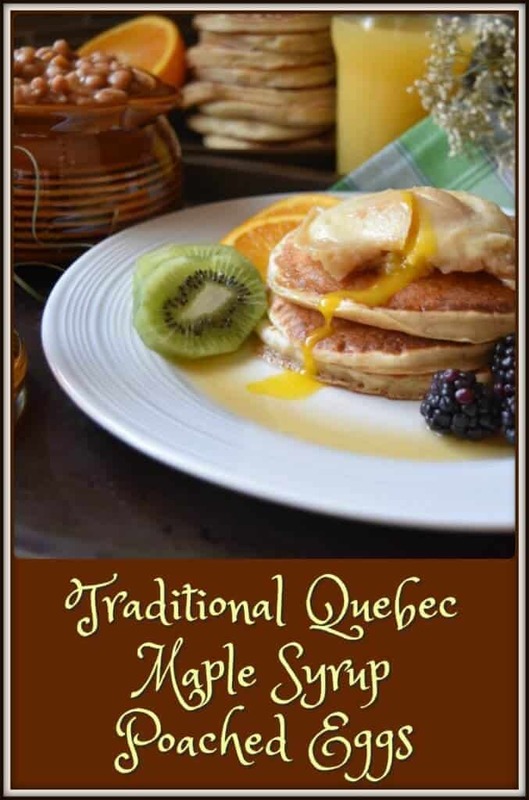 Would love to hear if you’ve ever tried this recipe for Traditional Quebec Maple Syrup Poached Eggs! 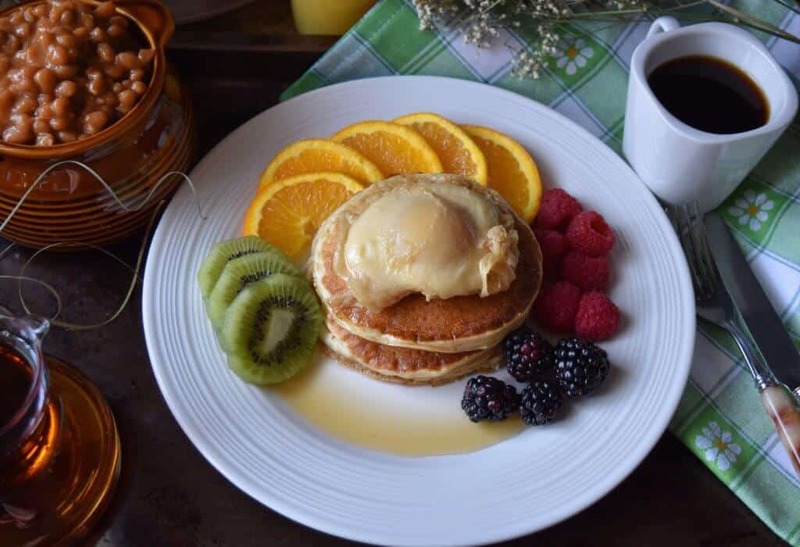 If you thought that maple syrup was just for pancakes, come and take a look at this Traditional Quebec Maple Syrup Poached Eggs Recipe. 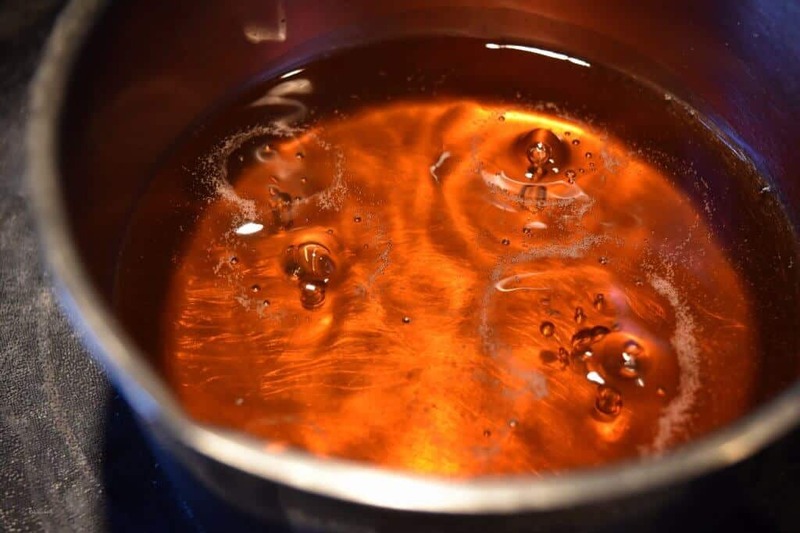 Whisk together the maple syrup and water in a small saucepan. 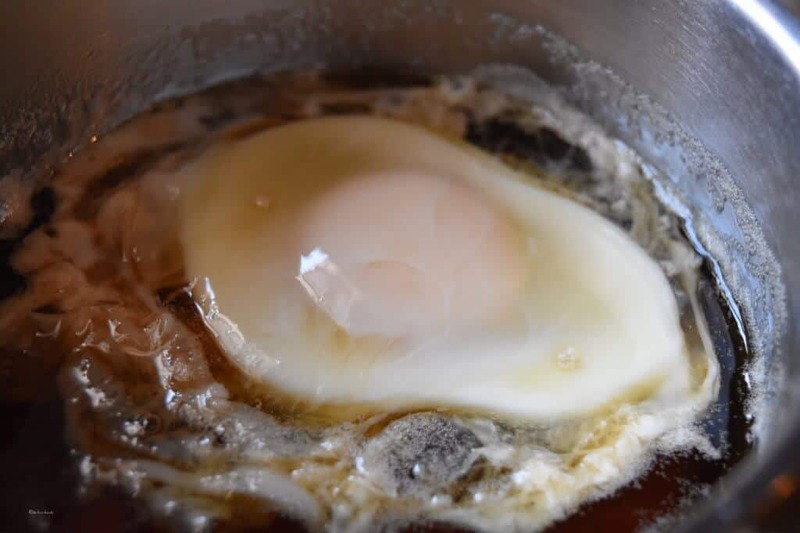 Crack the room temperature egg in a bowl and then just slip it into the simmering maple syrup (A soft poached egg will be ready in just 3 minutes, but you can let it go for another minute or so if you prefer firmer poached eggs). With a slotted spoon, remove the poached egg and serve immediately. Repeat process for another egg. Every Easter morning my dad would put Maple syrup in a pan and bring it to a boil. We’d crack the eggs and add them to the boiling syrup. When the syrup came to a boil again the eggs were ready. Between the 5 of us; Mom , Dad my older brother and sister and myself we would have usually 3 eggs each. My brother was the exception and would sometimes eat a half dozen by himself. I cooked the eggs this way for my wife and she was reluctant to try them. Our two sons on the other hand loved them. 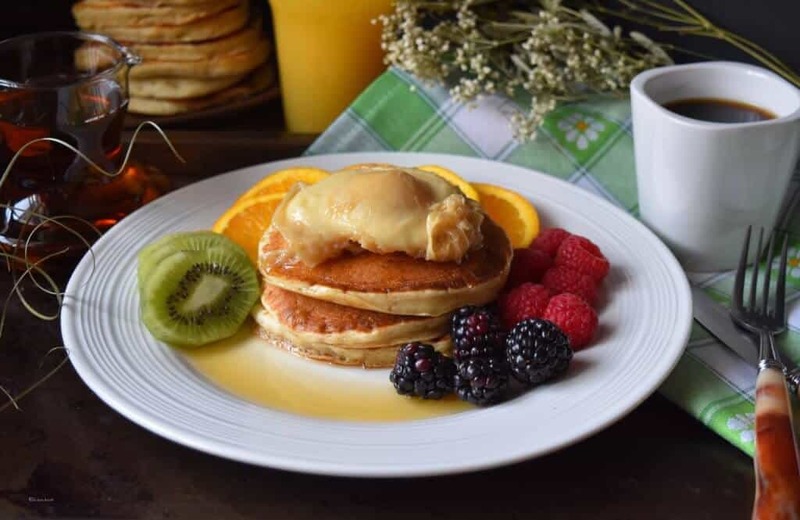 Hi Maria, this is such a creative way to have maple syrup and eggs. You bring back so many memories with Laura Secord cook books, right up there with Julia Child, and Chef pepin. Nature is such a brilliant and intelligent force, that gives us such delicious and wonderful things to eat and creat with. Just the smell of maple syrup brings spirits up, and smiles to faces. I love that you can drizzle some fresh maple syrup on the snow and have a nice crystalized treat, talk about simple and natural. 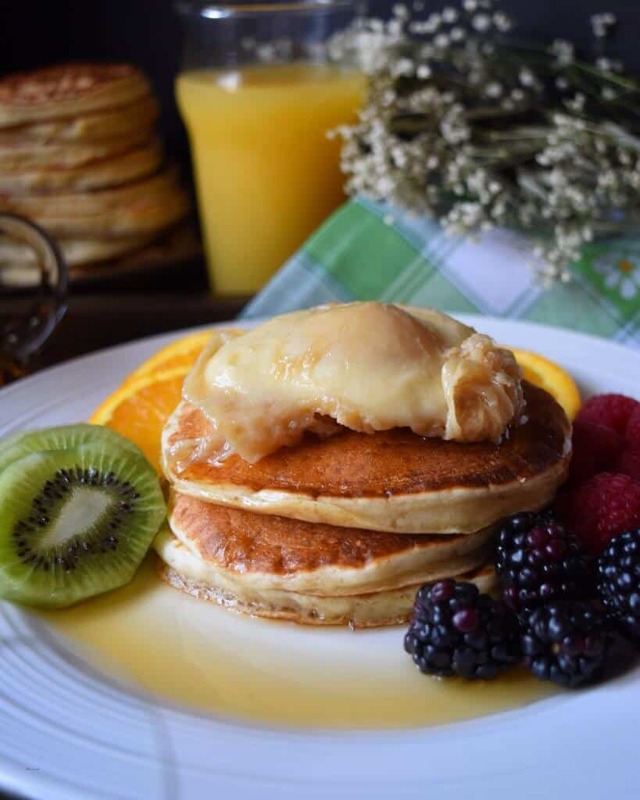 Love this post and the way you served it with buttermilk pancakes. A perfect match and a great way to marry sweet and savory, well done! Thank you so much Loreto… there really is so much inspiration all around us. In my books, you can never go wrong with mother nature… we do love our maple syrup… Wishing you guys a Happy Easter! Having lived in New Hampshire, a lot of your Canadian traditions were familiar to me but the syrup poached eggs are a new one. I like the idea of using them to top baked beans. From what I was told by my francophone friends, this was truly a rural tradition, specific to certain parts of Quebec. New Hampshire is also well known for their production of maple syrup… such a beautiful state. Thanks so much for taking the time to comment. Have a great week-end Karen! 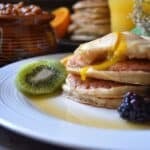 Loving all Maple syrup based recipes…this one took me by surprise. Truth be told, I kind of hold Maple syrup like a gold liquid that should not be used too sparingly. I would have a difficult time using it to poach eggs. Your idea of replacing part of the syrup with water would certainly convince me to try it. Hubby and I love poached eggs and this particular post has certainly intrigued me. Thanks for sharing your love of our Quebec Maple syrup. BTW…do you by any chance have a favourite Sugar shack…just asking since I’m always searching for the authentic, charming cabane. I also love maple syrup! I will make these eggs when creating a “sugar shack” theme for family and friends. Truth be told, I will strain the hot maple syrup and use it to serve with the meal… do not like to be wasteful. As soon as I have a chance to head towards the Eastern Townships…I’ll certainly have to give your suggestion a try. I usually head more towards the Laurentians etc. This years’ place has already been picked. Thanks Maria for having taken the time to share this unique place with me. I will have to head over there and discover more of that region other than going there in the summer. I was completely unfamiliar with this technique for preparing eggs, but how could they be anything else than magical! What a heavenly breakfast, brunch or for that matter dinner! Thank you so much for sharing a bit of local food culture with your readers.